Do you have a small to midsize business but no or minimum online presence? 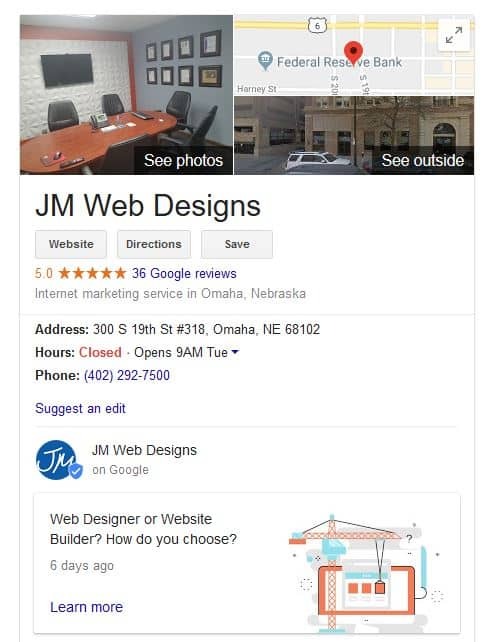 Have you been thinking about looking into SEO services in Omaha? Before you make a decision to invest in search engine optimization and web marketing you should get the big picture overview of the value. We’ll cover each of these topics in more depth in later posts, but for now these are the main things you can start thinking about and doing to improve your businesses’ online effectiveness. First, if you don’t have a website you’ll want to get one to have any online business presence. A website is necessary for online advertising and gives you control over your business image. Google and Facebook aren’t guaranteed to be around forever, so banking on a Google My Business (GMB) listing or a Facebook page for presence and credibility isn’t a great long-term strategy. If you do have a website, you need to make sure it’s modern and optimized for good user experience on both desktop computers and mobile devices. Use WordPress for a robust and flexible content management system. Use professional photography as this builds credibility and assists is enhancing a beautiful design. Have a clear message and readable content so customers know they can trust you and exactly what they need to do to begin using your product/service. Add value to customers by educating them and they’ll be more likely to trust you… not to mention Google will reward you. When people search for you or businesses like yours the majority of the time they use Google. If you don’t have a GMB listing the chances of them finding you are slim to none. A GMB listing tells your potential customers valuable information, like your website address, physical address, telephone, and shows your reviews from past customers. It also features a map with a pinpoint showing your location. Here’s JM’s free guide to setting up a GMB page. Facebook is still King of the social media platforms. If you run a business you need a Facebook business page. People will actually search for you on Facebook. It’s also a way to post helpful information and make announcements to your customers and potential customers. You can link your website to your Facebook page offering another avenue for prospects to reach you. Once you’re on Facebook join local groups that have an interest in your industry. You can make connections, learn what people are interested in, and even offer solutions to common problems to establish yourself as an authority. Finding out how easy it is for your customer to find you is critical for your online success. If you’re online but barely visible, you’re leaving a lot of money and potential customers on the table. The best way to test this is by pretending you are one of your customers. Type your list items one at a time into Google search. Is your website at the top of the first page on the search result? Is your website on the first page at all? Who is ranking number one? Examine the number one ranking website and look at their information. What is the format and the content? Can you do better? Maybe you can’t be number one, but you should have an aim to be near the top, and it is doable with the right strategy. You can have the most amazing looking website in the world, and it won’t sell a thing if the content is weak. Your customer needs to know what your offering and why it’s going to make their life better. Great content is a result of asking yourself the right questions and providing those answers to your customer. What can I teach my customers? What questions do I answer repeatedly? What’s new in my industry? What information in Google search could I add clarity to? What is my competition doing? What search terms are relevant to my business that my website isn’t addressing? Who will create, edit, and post your content? How will you promote your content? What will your content schedule be? Hopefully you now have a sense of the online business landscape and where you should be focusing your energy. You don’t need to do everything overnight, but you should start taking action on the most important aspects. If you need help getting started give us a call and we’ll give you some advice on where you need to focus first. A website is an investment. And to make the most of this investment you want both beautiful and robust. WordPress is often our preferred platform. Because of it’s flexibility for design and development and it’s countless plugins, WordPress provides our Omaha web design team with the tools for a customized website at an affordable cost. WordPress is a browser-based, meaning you can manage your website from any computer, tablet, or phone with an internet connection. They even have an app for easier on-the-go editing. Plugins, Plugins, and more plugins! WordPress currently has over 10,000 plugins for you or your developer to choose from when building your website. These plugins add functionality, extend the life of your website, customize the user’s experience, and are a vital part of any good website. Better yet, most are free or well-priced. Having trouble with your website ranking? Well Google is pretty fond of WordPress. Compared to other platforms, WordPress gets the edge in Google Rankings. Updating your website regularly with valuable and authoritative content is a must, but WordPress provides several SEO plugins to assist in optimizing your web pages with appropriate titles, H1’s and Meta Descriptions. WordPress also released WordPress 5.0 in November 2018 that includes the latest version of Gutenberg – a block editor that allows for simple and functional page editing. The Gutenberg editor, in conjunction with the Yoast SEO Plugin is powerful for search engine success. WordPress allows multiple users. As an administrator you can add other developers and even assign access levels for each user. Monitor user updates and add or delete users as your business grows and changes. It also provides plugins (yes, more plugins) for user groups, user permissions, wholesale eCommerce customers, and user profile and membership management. WordPress is 100% customizable to the user. If you have the knowledge, or a great developer, almost everything in WordPress can be updated, customized or changed to fit your needs. 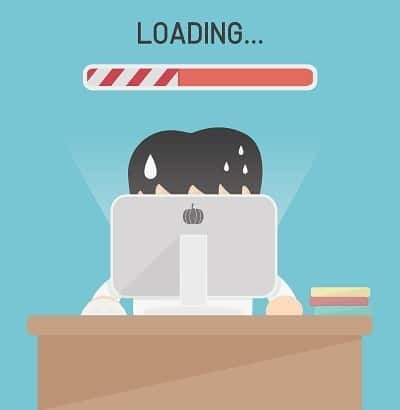 In a time where Google puts its highest priority on user experience, and users are not willing to wait for much of anything… website load time is a critical factor for search engine rankings and retaining potential leads. There are many factors to consider: browser, website host, device, page content, etc. But first, let’s start with YOUR website’s load time. What’s my website loading speed? You can check page load time through a couple avenues. If you use Chrome, you can use the Chrome extension “Page Load Time” or a separate tracker like Pingdom. You can also check if your website is loading fast enough for you visitors by checking your bounce rate. Bounce rate can be seen through Google Analytics. If the bounce rate is high, it can indicate load time is too slow. High bounce rate can also negatively impact Search Engine Optimization (SEO). Google Webmaster recommends a maximum of 2 second load time for an ecommerce website, but Google aims for a half a second. That’s fast. Compress: The file size that the browser renders is king. The smaller the image the faster the load time. Here are some tips to optimize your images for faster website load time. Resize your images before you upload them onto a page. Don’t load a 5000x3500px image when your image on the page displays at 500×300. Your browser needs to calculate this resizing, and this takes time. Remove all the metadata from an image to reduce the image size. For example, you don’t need to know what camera was used, where the photo was taken, etc… This can bloat the filesize that the browser needs to render. This takes time. Consult your website hosting provider about how to utilize gzip to serve your website files to browsers. Compressing the resources that the browser requests can allow your browser to get information faster. Design, Coding & Content: The three main factors when building a website, all contributing to website load time. Here are some tips to optimize website design, coding and website content for fast website load time. Remove the junk. Many prebuilt templates are built to sell and have ALL the features. By the time you have your content, images, page structure, etc. established, you’re left with a lot of dead weight you’re not using. Delete as much unnecessary data from your template as possible, including images, plugins and posts. If speed is a top priority, consider getting a custom-built template. Often, prebuilt templates are built in a complex way to hide code, making it harder for others to “borrow” code. These hiding techniques are good at making it difficult to borrow, but they also sometimes make a browser load more files, or the structure of the code causes render blocking (some sections on the site cannot render until all the appropriate files are loaded). This can increase load time and create the illusion that the page loads extremely slow. During the website design process, don’t force a ton of heavy elements into your design: Use fewer photos, host videos on YouTube, consider less “moving content” like ajax loading or lazy-load content. Other Considerations: Consider utilizing the open source Accelerated Mobile Pages provided by Google. Basically, Google renders a snapshot of your site instead of reloading it for mobile users, so it loads lightning fast. But be sure to understand the problems with caching for this method of Google displaying your content. The best route to go is to ditch the out-of-the-box solution and partner with a website design and SEO company. If you’re working with a team that builds websites to look beautiful with best SEO practices in mind, website load time will be considered through every step of the process. Our website design and Search Engine Optimization Omaha team considers website load speed from the initial planning stages through our SEO strategy implementation. So, if you want to know how to design a fast website, let us know, or we can make it happen for you. Building a website today much less resembles the lawless open plains of the Wild West and more closely relates to open freeways, endless roads to travel, scattered with check points and signs along the way attempting to guide you. 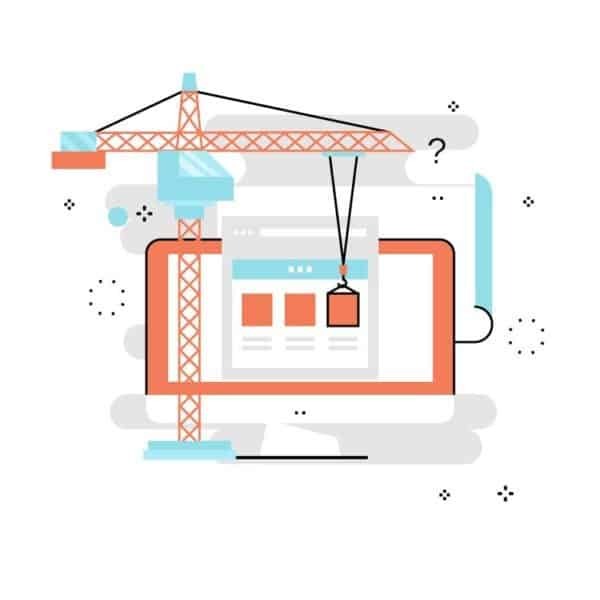 With technology so rapidly evolving, so many companies offering their services, and so many options when building a new website, staying up on the latest and greatest trends in technology can be overwhelming. That’s why I’m going to cover a list of the top 6 things our Omaha web design team recommends considering when building a new website. Building a good website requires a lot of work. You will need research, coding, design work, population, testing, security, and finally to launch the website. When it is all said and done, who owns the rights to the website – you or the company that created the website for you? Make sure you own the rights to both the design and content of your website, and ALWAYS ask this during your first conversation with a web design and development company. Think of the CMS as the brain of your website. Always research a CMS before choosing one. Google it! Read about its strengths and weaknesses, read reviews, and peruse websites built on the platform. Much like test driving different cars, different website platforms have a different feel to them and it will make a huge difference in user happiness and interaction. You will also want a well-known CMS, as it makes hiring new people to work on your website much easier. And just a quick tip, WordPress has rapidly reached its way to one of the most highly used platforms on the web, and it is one of the preferred platforms for our Omaha web developers. Each website needs a purpose and goal. Some websites have a purpose to educate with a goal of helping to expand your brand awareness. Other websites have a purpose of generating online sales, or making your business money. A common goal includes collecting payments online to make your life a little easier. No matter the purpose or goal of your website, the navigation, content, and calls to action all need to work cohesively to accomplish this. Your website needs to be responsive. End of story. Most websites easily have above 50% of their users visiting the websites on a mobile phone or tablet. Without responsive technology the website will not look nice or function properly, which leads to high bounce rates and lower user satisfaction. Not having a mobile friendly website can also negatively affect your Search Engine Optimization (SEO) ranking. Anything that is worth doing is worth doing correctly. Don’t know who said it, but it’s true. Yes, you can build a website for very cheap and have it up in a week, but in the business of web development you get what you pay for. Set a realistic timeline, and be open to learning. As with anything good in life – a new car, a new home, a website is an investment – take your time, do your research and save up for what you want. There are a number of services and things required to properly build a new website. When comparing companies and pricing, make sure you receive an itemized list of exactly what services they will provide, the estimated timeline for those services and, of course, cost. The reason why you ask? Two companies may have similar pricing, but one may be offering you a great deal more for your money. The bottom dollar gets all the attention but the details are what makes a beautiful website. The short answer… quality content is important because it’s important to the search engines. There’s not a single client who walks through our door who doesn’t care about success in Search Engine Results Pages (SERP). And if Google loves good content, then you should too! The strategy of website design has made major shifts over the last few years. The goal has always been for good user experience; and years ago, our Omaha web designers and web developers would put most of the focus on functional and beautiful design for the best experience possible. Functional and beautiful design are still important to user experience, but now we must also put heavy emphasis on website content. So, let’s approach your website from a more holistic point of view. Let’s build a website that is both beautiful to the eye and rich in valuable information. You can start by understanding how results are served on Google. Google’s algorithm is multifaceted and based on more than 200 factors. But Google’s focus when serving results is relevance. Google does not see the design of your website, but instead sees the words and their location. Because of Google’s commitment to serving relevant websites and content, high quality content serves itself. This is not keyword stuffed content. This is content that is readable, that is appropriately placed on the correct page, that is keeping a user on your website. This is more than just plunking in a keyword every-so-often. You’ve selected your primary keywords based on what you think your potential customers are searching. Or even better, perhaps, you’ve partnered with our Omaha SEO team to do some in-depth keyword research and analysis. And you’ve tried to integrate your keywords into your web page titles and H1’s, and as frequently as possible into your content. (We offer this service as a one-time SEO optimization.) But if your website content is only a few sentences per page, with very little substance, your efforts hold very little weight in the search engines. In fact, it’s often more beneficial for you to invest in creating valuable content than implementing our one-time SEO optimization. The search engines will read it and rank it according to its context and value. Users will read the content, because it is relevant and valuable to them, increasing user time on site. Users will likely be funneled into the website, decreasing user bounce rate. If your questioning the value of any page on your website, I’d venture to say you probably need to rewrite it. And as a website design company who approaches your website from a holistic point of view, quality content is not only important from an SEO perspective, but also from a design perspective. Did you know that we have a copywriter on staff? Quality content is worth the time and financial investment because it can, and will, bring in new business. So, let us help you improve on every facet of your website – design, performance, content. It all comes back to user experience. Whether its design, functionality or content – a successful website provides a user with value. User experience is so important that it’s become the main driver for Google’s algorithm updates over the last several years. And it’s been said in some major SEO studies that one of the most critical factors for SEO success is user time on page. User time on site is directly correlated to user experience. If your website design is pleasing, if your functionality is friendly, and your content is engaging and valuable the overall time on site will increase. Abandoning visitors increase the bounce rate (user gets to your website and leaves without clicking anything), which reduces conversions and profits. You can find out your average user time on site through Google Analytics under Audience > Overview. Your website design gives users a first impression. The design entices or turns away a user before they even start reading the content. So, make that first impression count with a website design that’s clean, functional and accurately reflects your business. A user-friendly website will also be mobile-friendly. Make sure your website is using responsive technology. Google will reward your website for responsive technology and the added value and readability will increase time on site for mobile users, also increasing your organic rankings. Among Google’s guidelines for content is “make pages primarily for users, not for search engines.” Contrary to the old-school way of thinking, keywords stuffed into mindless or irrelevant content will not increase SEO value. Your website content, page structure, design… everything… should be geared toward adding value to your users. This is relevant to pages relating to your core services and to your website blog. Feeding Google consistent content through a blog/news page can be great. But the quantity of content is no longer a key factor for SEO success. Instead, focus on quality of content. If you are unable to produce quality content for your blog, then get rid of it (or hire JM to do it). A blog that’s not being updating with quality content is likely doing nothing for your SEO value and it’s not building credibility for website visitors. Keep users interested by pointing them to the next thing they’ll want to read. Across your website, link to related services or key team members when relevant. On blogs, link to other related articles whenever possible. This will help provide more relevant information that will appeal to user’s direct interests and be good for your website’s SEO. Links are crucial SEO ranking signals. Inbound links, outbound links and internal links help Google figure out what is relevant and authoritative. You have less than one minute to keep a visitor on your website. And if even a small portion of that minute is being spent on load time… you’ve likely lost your visitor. You can check your website load time using free tools like Pingdom, and if you’re load time is more than 4 second… you need to make some changes. You can consider: Getting a new website host: Nothing you can do to optimize your website will make any difference if you have a bad website hosting company. There are VERY cheap hosting options available. I, for one, love a good deal. But you’re not looking for a good deal when it comes to website hosting… you’re looking for reliable, secure and support-focused website hosting. Use a caching plugin: Caching can result in a 10x speed gain over a non-cached website. And the plugin is free! Remove unnecessary plugins and update: WordPress (our preferred platform) has lots of cool plugins. But they may be slowing your website down. So, you need to weigh the options and get rid of the ones you don’t need. Also, updating your plugins is critical for site performance AND security. Optimize images: There are plugins available that can compress and optimize images for faster load time. Or, you can make your images smaller to increase load time. A great design, good content, internal links and fast load times are not relevant unless you’re attracting the right users to your website in the first place. 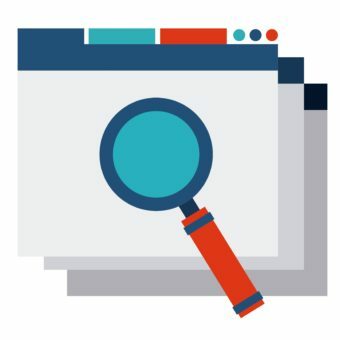 Use keywords and long-tail keywords that your ideal customer will search, bid on these keywords for Google Ad campaigns, and create good meta descriptions so users will understand what they’re clicking on before they get to a page. After making modifications to your website and strategy to increase user time on site, check your Google analytics and analyze the success of each page, individually. Your data will help you make informed decisions. Don’t know how to analyze the data? Our Omaha SEO team can. Don’t have time to write valuable content? We have an experienced copywriter. Don’t have the ability to make the changes that need to be made? No problem. We can help! Website design should reinforce brand by portraying culture, atmosphere and adhering to general design guidelines. And while it may sound like I’m stating the obvious… your logo is the pillar of your brand, with prominent website placement and from which all styles are derived. A logo is your brand identity. And I bet you can count on one hand the number of times you’ve seen a website with the logo placed somewhere other than in the top left or center of the header. Right? This is because you want to use your logo to set up and meet expectations, both visually and functionally. Your logo sets up expectations for customers with color, design and general “vibe”. If you’re not happy with your logo or don’t think your logo accurately portrays your business… STOP and redesign the logo. Don’t design a website around a brand you’re not 100% happy with. It’s an expensive mistake. Recently, I was working with someone to spruce up a pre-built WordPress template, and she began to question her DIY logo. So, we put the website mockups on hold and focused our efforts on sprucing up her logo. It would have cost her more money in the long-run to design a website around a brand she didn’t love. A few recent examples in our portfolio include a logo recharge. Not a redesign, but rather an update to more accurately enhance a new website design and increase brand recall. A website visitor has an expectation that your logo will be placed in the “usual spot” (upper left) – and expectations play a large role in user experience. Case studies have shown that placing the logo in any location other than the top left-hand corner can hurt your site. NN Group found that centering your logos will make it roughly six times harder to return to the homepage of a site than left-aligned logos and that right-aligned logos hurt brand recall. When designing the flow of a site, our web designers must account for the need to return to the homepage. Rather than providing a “home” button in the navigation bar, the logo has been the traditional and expected method for providing users with a way to return home. It’s beneficial to meet the user’s expectations and link the logo home. And for the visitor spending any time on your site at all, this continuous logo home-base can help reinforce your brand. Your take away: use a logo that reflects your culture, services and products. Don’t settle because it’s what you’ve always had, or because your DIY method saved you a couple thousand dollars. The gain from using the RIGHT logo in the right ways on your website is increased brand recall, increased conversions and long-term use of your current website design. Our web design and web marketing team is excited to announce that for the month of July, we are donating $250 to CASA for Douglas County for every website sold. CASA for Douglas Country is a JM customer, and after working to build its website and being moved by it’s cause, we can’t think of a better way to give back to the Omaha community. CASA trains and supports volunteers to represent the best interest of victims of child abuse, neglect and severe domestic conflict. These volunteers are appointed by judges to be a voice for these children in court and in the community. In Omaha, over 1,300 children, at any one time, are entangled in the foster care system because they are victims of abuse or neglect. We want to partner with CASA to ensure the basic rights and needs of every child are met by providing a CASA volunteer for every child who needs one. 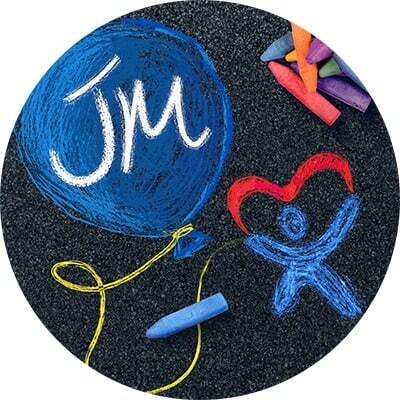 JM cares deeply for children and for Omaha. We hope that our gift will help CASA continue their good and important work in the community, giving children a voice in the midst of brokenness. You can visit CASA for Douglas County’s website to learn more about their mission and how you can make a difference by volunteering. You can also make a donation directly to CASA or give to specific needs through its website. CASA also has many other ways to serve and support its cause, through employee giving, Amazon Smile, item donations, among other things. And, you can support CASA through JM. If you’re considering a new website, simply request a quote today for a chance to support CASA through your purchase. Website content is, perhaps, one of the most critical components of success for your website. In recent years, Google has put more and more emphasis on valuable content. So much so, that you’re likely to struggle with SEO success without putting thought into your website content and content structure. We’ve said it a million times, but content is king. Google analyzes the value of your content and ranks it accordingly. So, how does Google search work? Google delivers instant results to a user with three key processes: crawling, indexing and serving. Crawling: Googlebot, a computer that crawls billions of pages across the web, discovers updates and new pages. The process begins with a list of URLs that have been determined from previous crawls in partnership with sitemap data provided by webmasters. When visiting each web page, Googlebot detects links on each page and adds them to its list of pages to crawl. New sites, changes to existing sites, and dead links are noted and used to update the Google index. Indexing: Googlebot processes each page after a crawl. It compiles a list of all the words it sees and the location of the words. It also processes title tags and ALT attributes. It’s important to note that Google cannot process rich media files or dynamic pages. Serving: Google serves results based on relevancy and is based on more than 200 factors! These factors include keyword usage, site structure, site speed, time spent on site, number of inbound links, quality of inbound links. Current Website Structure: If you’re building a new website, the SEO value your current pages already hold in Google is worth considering. 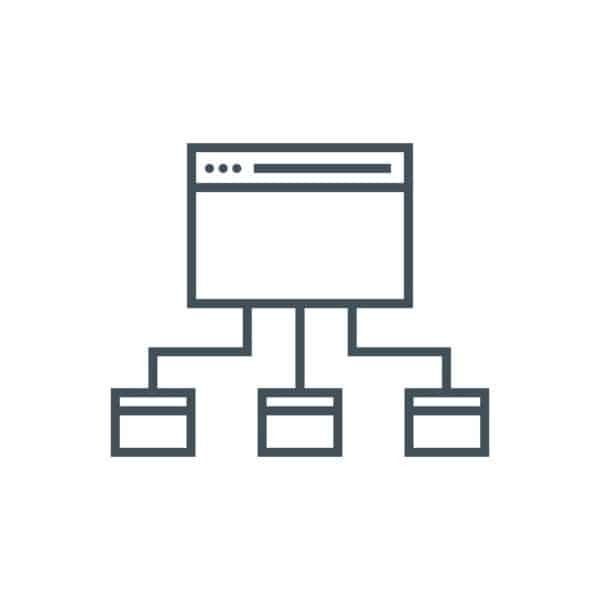 If your website is established and doing well in the search engines, you’re likely going to want to keep the page structure nearly the same. This can help avoid a major drop in rankings after launch and avoid a huge list of crawl errors. Useless Pages: While the above statement is true, quite often there are just some useless pages on a website that add no value. Maybe it’s a page about a service you no longer offer, or a page with only a few paragraphs that adds no value. Regardless, ridding your website of useless pages, even during a new website build, is positive. However, post-launch you’ll want to make sure to implement a 301 redirect to avoid crawl errors. The Data: Data doesn’t lie, people! If you’re struggling to determine your site map, or honestly don’t know if a page is adding value to your website, you can always consult analytics. Assuming your website has analytics installed. Google Analytics can provide data that will show you what pages people visit, how long they stay on the page, user flow, and MUCH more. Once your site map is set, it’s time to start collecting and writing content. Admittedly, writing website content is not the most exciting thing. I know because I’ve done it. And I am still doing it as we seek to continue to restructure and rewrite JM’s current website based on the data we are seeing in our analytics and AdWords campaigns. BUT, time put-forth now will benefit you for years to come. Each page should have valuable content full of keywords, a nice image that adds value to the content and a call to action. What keywords do I use? Select one or two keywords or keyword phrases you would like to be found under. Even ask your current customers how they found your business online to determine what keywords your performing best at. You can use some free tools to help determine what to use. Moz and SEMrush both have some pretty intuitive and free tools that can help you analyze keywords and your competition. If you want more exact data to select your keywords, our web marketing team can help with that. Basically, we take a list of your suggested keywords and pull some data (because data doesn’t lie) through multiple tools. We can then see how many searches there are for a keyword, what the competition is like, and a list of other possible keywords to consider. Ideally, we want a keyword with a decent amount of searches and low competition. Your website content is critical. If you don’t have the time to do it well, hire a pro. JM’s copywriter has experience writing for all kinds of industries, so let us introduce you to our copywriter. And if you’re going to write your website content, let this be a high-priority item on your endless to-do list. Don’t let months go by, foregoing countless leads and business because you don’t have the time to dedicate to writing good website content. Let us know how we can help! We are honored and thrilled to be named as one of TemplateMonster’s top-performing affiliate partners. As an affiliate partner, we work in cooperation with TemplateMonster to provide pre-built WordPress templates to our customers for affordable, easy to manage and beautiful websites. TemplateMonster interviewed JM’s CEO Jonathan Patton to discuss our success in using its templates. The web design industry has changed many times over JM’s 20 years in business. And while JM still designs and develops beautiful custom websites, the market has shifted to using more templates. Using a pre-built WordPress template allows us to give our clients a robust and customizable CMS. By modifying the design, JM can provide a branded web design that can grow with you. And with expert guidance and a professional web designer’s touch, our websites are a beautiful and long-lasting marketing piece for our customers. TemplateMonster has provided a platform for us to best serve our customers and the Omaha market. We’re grateful for this shout-out! Read Jonathan’s interview and checkout TemplateMonster’s WordPress templates to see if we might be able to help you upgrade your website with a pre-built WordPress template. Web Designer or Website Builder? I honestly cannot think of a business who doesn’t need a website. Maybe you can surprise me with one, but… nope. Can’t think of one. And since we are in this age where you must have a website to build credibility and you must be competitive in the search engines to break into almost any market, it’s no wonder the market is being overwhelmed with website builders. Wix and Squarespace are website builders. And they are just a couple of an endless list of companies who provide out-of-the-box, DIY solutions for little-to-no cost. A website builder, at it’s most basic level, is a tool that eliminates the needs to know CSS, HTML or any other coding language. You select a template, drag and drop, plug and chug. Free sounds awesome. I love free samples, I love free hugs, I LOVE free shipping. And these free (or cheap) website builders certainly fill a need in the market. They provide a DIY solution for a company with no budget for a website. It’s available at your disposal and the determining factor for launch is the time you’re able to invest. The truth is, some people just cannot afford an experienced web design company. That’s okay! That’s why website builders exist. However, there are several disadvantages to using a website builder. The hands-down best benefit you will receive when partnering with a web designer and developer is the savvy guidance you will receive from start to finish. 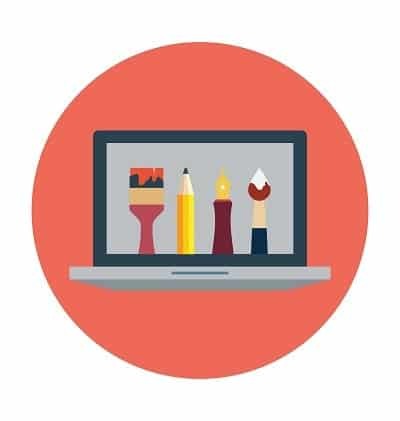 A professional web design team can offer advice on layout for aesthetics, on page structure for usability, on call to action for increased conversions, for preparations to make your website market-ready upon launch. You can probably spend time reading about these things and gain some insight, but a web design team with expertise in what works will provide a better product with opportunity for growth. Many website builders do not offer the tools needs to be competitive in search engines. As Google makes frequent changes for user satisfaction, algorithms are changing and so are requirements for website success. Missing out of robust tools for SEO success could be the difference between your success and failure. Not only can a web design company provide a website equipped with tools for SEO success, but they can also provide insight into keywords and information on HOW to optimize your website for these keywords. Or they can even do it for you. A web marketing team can analyze Google data to determine best practices for success. You cannot get this with a website builder. There are certain things I am just not willing (or able) to do myself because I just do not have the time. I will pickle my own garden vegetables, make my own bread before buying it in the store, and ALWAYS make my brownies from scratch because I do not believe in box brownies. But I will NOT make my own kombucha. I must draw the line somewhere. We all choose how we spend our valuable time. So, the question is, do you want to spend your time building your own website? What else would you do with that time? This blog isn’t meant to knock down people who need to use a website builder. It’s simply meant to shed light on some of the realities of selecting a website builder vs a web designer. Our Omaha firm has seen major market shifts in the last couple years. Expectations are changing, our processes are changing, and end-products look different than 10 years ago. However, partnering with a web design firm that can care for your entire online image may be the thing you need for success. And it may be the thing you need to save time and resources in the short and long-term. JM is made up of individual professionals who work together for the WHOLE online presence of our clients. With specialists in web design, web development, ecommerce solutions, web marketing, SEO, web hosting and customer support, our individual expertise allows us to successfully build and market a website for any industry. We are taking time to highlight each team member at JM; and next up is Alex, JM’s business development manager. How do you balance your career at JM and family? It sounds a little corny but everyone that works at JM with me is a friend of mine in one capacity or another, and we really are like a small little family. Time at work, though very busy and at times stressful, is comfortable because of the fantastic dynamic that we have with one another. Our CEO, Jonathan, also does a fantastic job of always making sure that if any of us have an important family function, emergency, or just need time off work, he makes it happen. Flexible scheduling and great communication are key. The best career and family life balance I have ever had in my life I have found with my extended family at JM. How has JM helped you in your career development? JM has been fantastic as far as career development is concerned. There is always something new to learn, and after about two years with the company I still learn something new each week. Because I am constantly learning new things, I am constantly developing skills which make me able to help other positions. I feel more and more valuable as an employee as time passes because of this. My new skills that I learn here also open new doors. I started with the company as an Account Manager, a position which I loved, but had the opportunity to begin working in business development and sales and found my true calling in this role. I wouldn’t be as good at my job as I am, if it had not been for everything I had learned in my role as an Account Manager the first year with the company. What are 3 words to describe JM? What do you find the most challenging at JM? The most challenging thing at JM is when we have clients that don’t have much of a technology background, or online marketing experience. Bridging the gap between what we are saying and what they are hearing, as many technical terms sounds like a different language. Luckily for us, we have 20 years of experience and have became very proficient at explaining complex ideas to clients in ways that not only do they understand but they soak up and can speak on later. We strive to educate, and it works very well in our favor and the clients love it. What has been your favorite project at JM? I was an account manager at the time and I worked with a great team, and had a great client contact and we had amazing communication, and he was one of those clients that had some specific ideas he wanted, but also gave us creative control over the website and it was a perfect balance, super fun to build, and my personal favorite. What is on your wish list for the next 10 years with JM? Continue to work in my position, help JM to grow into a larger company that can handle more and more projects but not lose that small business feel, that when our clients call in we still know them by their first name. I would love to continue to grow with the company into a managerial role one day and keep JM alive and providing the same amazing services we do today. What is the favorite part about working for JM? My favorite part of working for JM is the team we have. We have such a fun, diverse group of individuals, that all bring their own unique, quirky, and brilliant personalities and talents to the team. We are very good at what we do, but aside from that, everyone who works here is a genuinely good person. Are you messy or organized? Do you have a favorite newspaper, blog? My wife. Just once I would like to always be right, if only for a day. I would love to be a character at Walt Disney World. Just run around and make kids’ days. That would be super fun and memorable. The true function of leadership is to produce more leaders, not followers. A leader is a person you will follow to a place you would not go by yourself. The kitchen table at my mom and dad’s house, eating anything my mother has made. It’s the holidays, surrounded by friends and family. Followed closely by 8:30pm – 10:00pm, snuggled in bed with my wife and dog, watching forensic files.